If you've decided to use cloth diapers, you might be wondering how to store them until you're ready to wash them. The best way to keep them out of sight and away from your sensitive nose is to put them in a diaper pail. Why the liner? It's kind of like a garbage bag. You line your garbage can so you don't have to clean out your garbage can every week; you use a pail liner so that storing and washing your diapers is a breeze, too. Pail liners, like the one shown here from Leslie's Boutique, are typically used to line a diaper pail or garbage can. Some brands also make "pail liners" that don't require a pail... these ones are usually have a hanging strap or hook, and are intended to be hung from a door knob or hook. Pail liners are a simple way to make your cloth diaper experience much more pleasant. If you have a pail liner, you can basically remove it from the diaper pail, carry it to your washing machine, and turn it inside out, depositing the contents and the bag right into the machine. No more handling of poopy diapers required. We highly recommend that you purchase two pail liners. If you have two, you can put one in the wash with the dirty diapers, and you can re-line your pail right away with the clean one so you're ready to store your next diaper. Pail liners are typically used for dry pail cloth diaper storage. 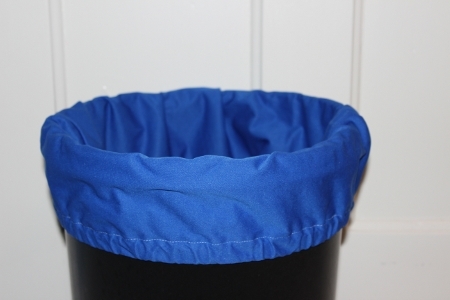 For dry pail storage, one of the least expensive and most effective storage diaper pails is a simple flip-top garbage can, since it allows air to circulate, which actually reduces odors. That said, if you have nosy pets or kids, you may find it more practical to purchase a garbage can that opens with a step-on pedal and can't be tipped! If you plan to use a wet pail or combination method with a pail liner, you should be sure not to hang your pail liner from a door knob or hook, no matter what the manufacturer suggests. The reason for this is that wet diapers are much heavier, which can cause the storage bag to stretch and tear (and leak) if it is hung from a door knob. If you would like more information on dry vs. wet pail storage, check out our article on cloth diaper pails, which also includes some suggestions on how to eliminate odors until laundry day, plus lots of suggestions for diaper pails, too! PUL or TPU - Most pail liners are made with PUL or TPU fabric. Both are forms of polyester that have been treated with a laminate to make them waterproof. This is the most popular, for the simple reason that they can be washed and dried with your diapers. Nylon - another relatively water-proof option, nylon may be considered more durable, but it should not be machine dried. It is also harder to find. Do not line the pail with a woven material such as cotton, since it will absorb moisture and retain smells - and it won't be waterproof, either! 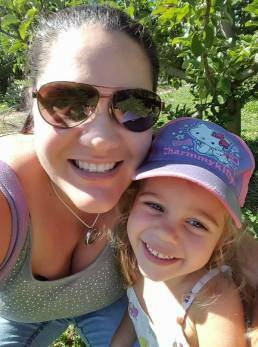 There are tons of great companies that make cloth diaper pail liners. I recommend the following retailers, which all have several different brands available. If you know how to sew, why not make your own diaper pail liners? 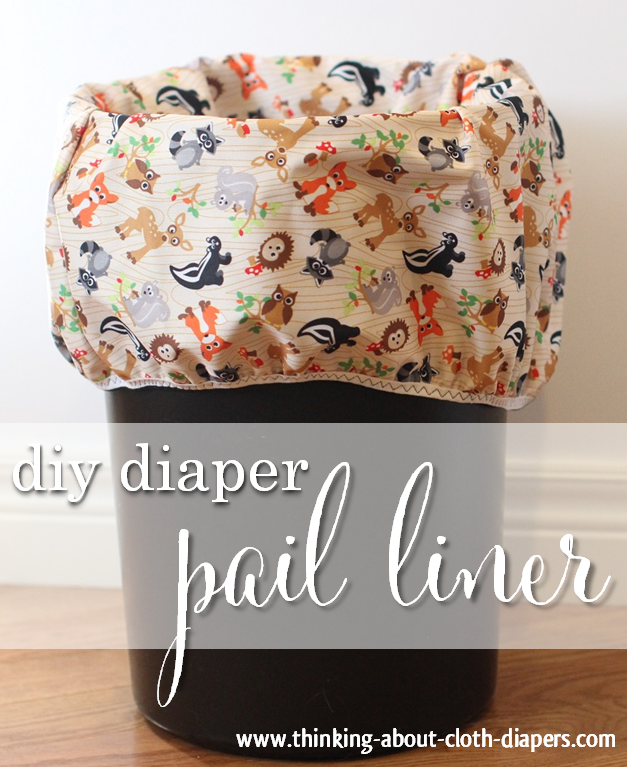 Check out our diaper pail liner tutorial for more information on this easy and affordable DIY project! Tips for a Better Experience! If you will have more than one child in diapers at a time, consider buying a larger diaper pail, so you can still store at least 2 days of diapers before you need to do laundry. If you are planning to use a pail liner, ones with elastic around the top hold it more snuggly on the can. This means your bag won't slip down inside the cloth diaper pail like a garbage bag does in your regular trash can. Want to find a great deal? 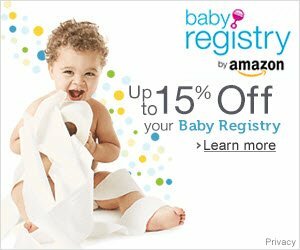 Check out our Cloth Diaper Sales Round-Up, which we update weekly to bring you some of the best cloth diaper sales on the Net, all in one quick glance!